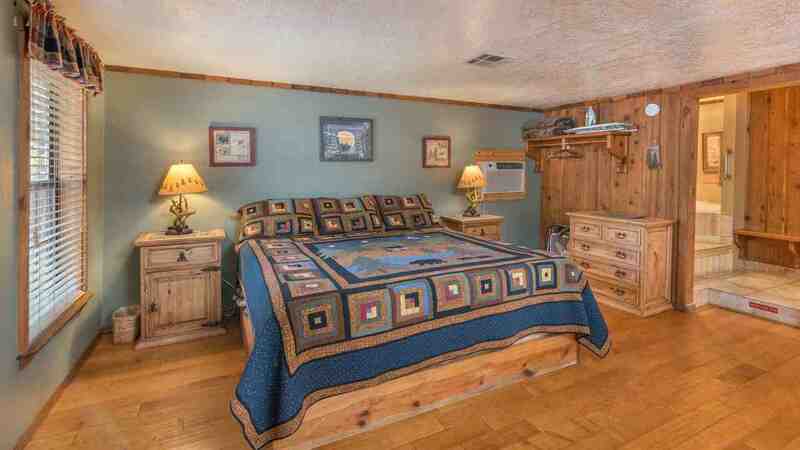 DESCRIPTION: Our Cherry Tree cabin is made for lovers. 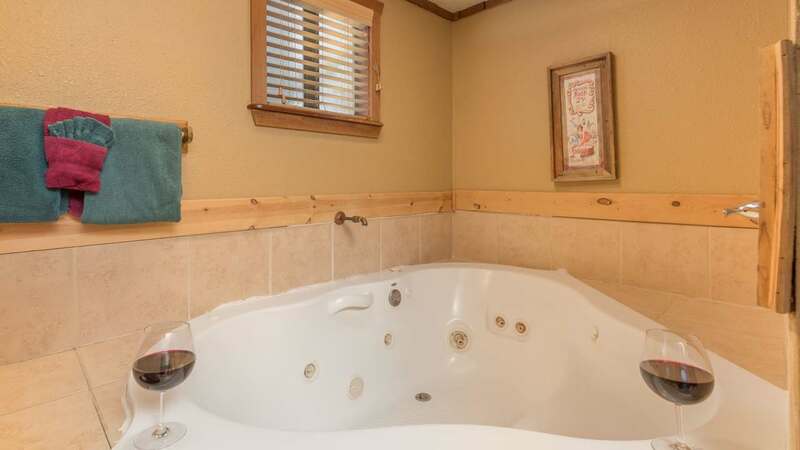 This spacious cabin features a romantic fireplace and a full size whirlpool for two. 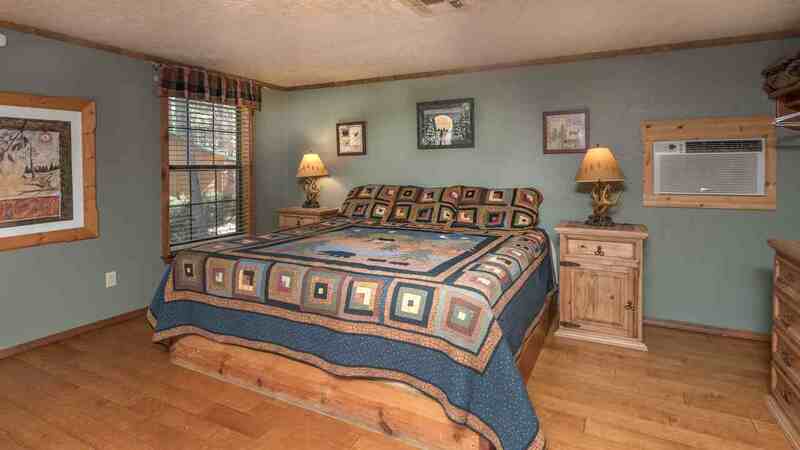 The king bed is very comfortable and features a designer quilt set. A/C keeps things cool on those rare days when the temps rise. 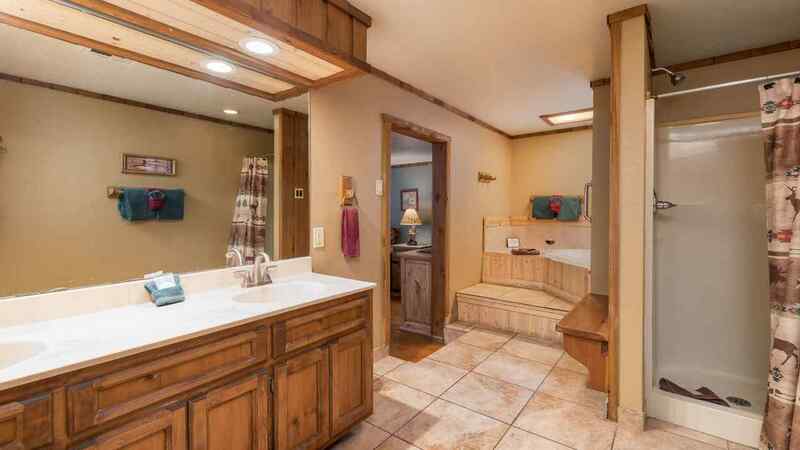 The double sinks in the very large bath area are a real treat. 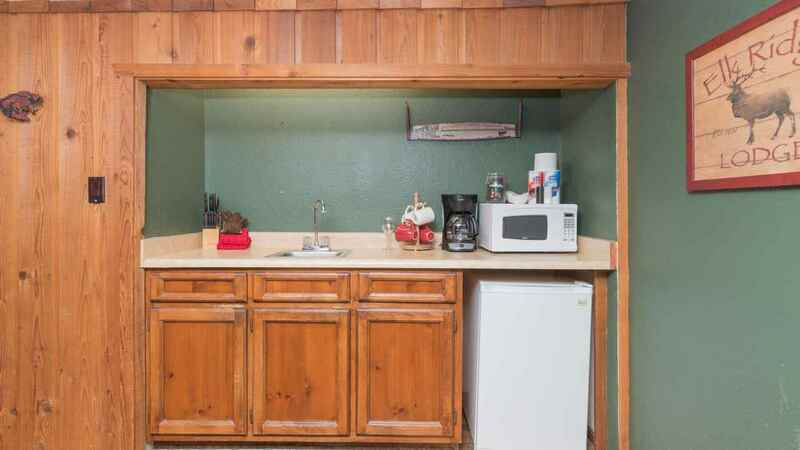 There’s a small refrigerator, a micro wave and coffee maker for your convenience and we supply the coffee! There are also wine glasses for toasting those special occasions. The flat screen with DVD player can be seen from the bed and our state of the art high speed internet lets you stream your videos. 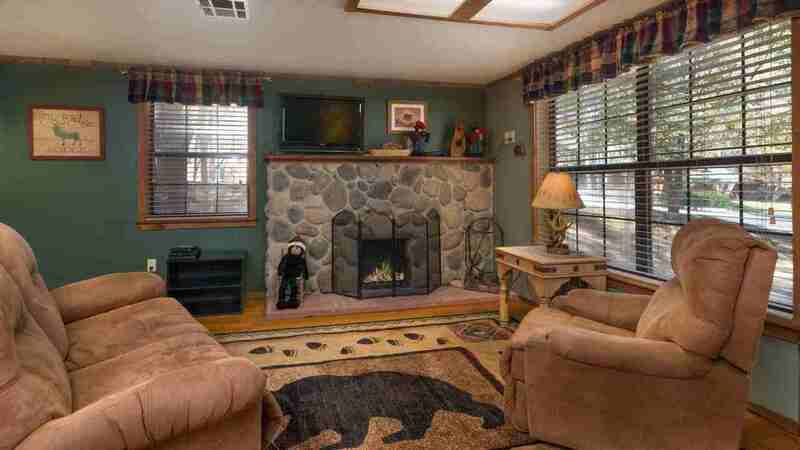 The private deck has a gas grill and is a wonderful place where you can melt into the custom built Adirondack love seat and sip on your favorite beverage. 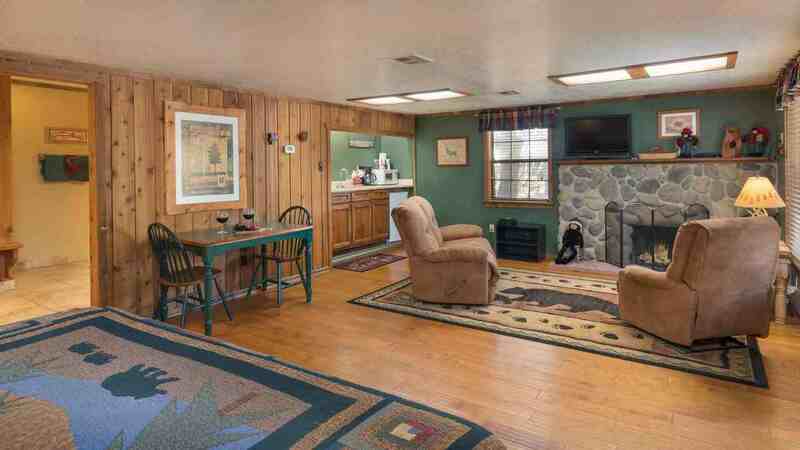 The little river is just a quick stroll behind the cabin and all of Ruidoso’s attractions are only a short drive away, including shopping, dining, gambling, golf, skiing, hiking, horse racing and so much more. Check out the in-room directory for all the information you need for your stay as well as a list of events, attractions and our “just for you” selection of preferred restaurants (where the locals eat).